This week, Amy has chosen Architecture as the topic for the Lens-Artists Photo Challenge. I like to visit historic houses when we go traveling so there are lots of building images in the photo files but for this challenge I decided to go with just a few examples of architecture close to home that, for me, stand out in the crowd. 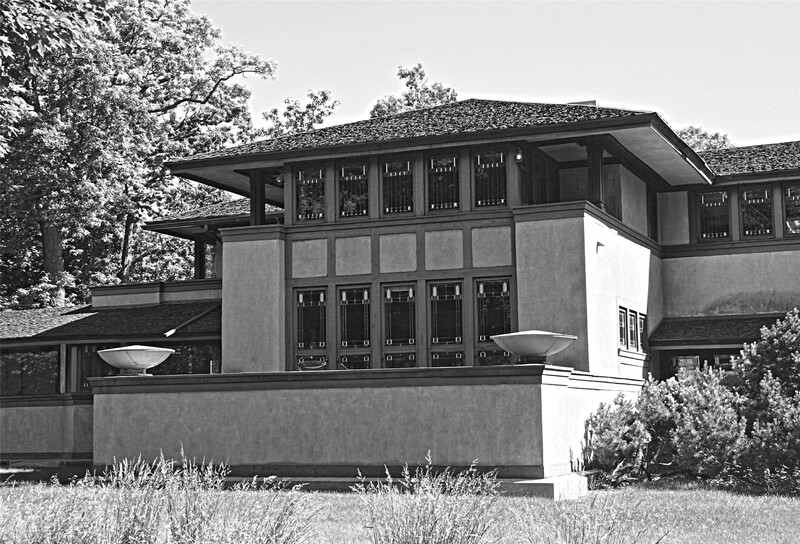 The first building is the Ward W. Willits House in Highland Park, Illinois, designed by architect Frank Lloyd Wright in 1901. 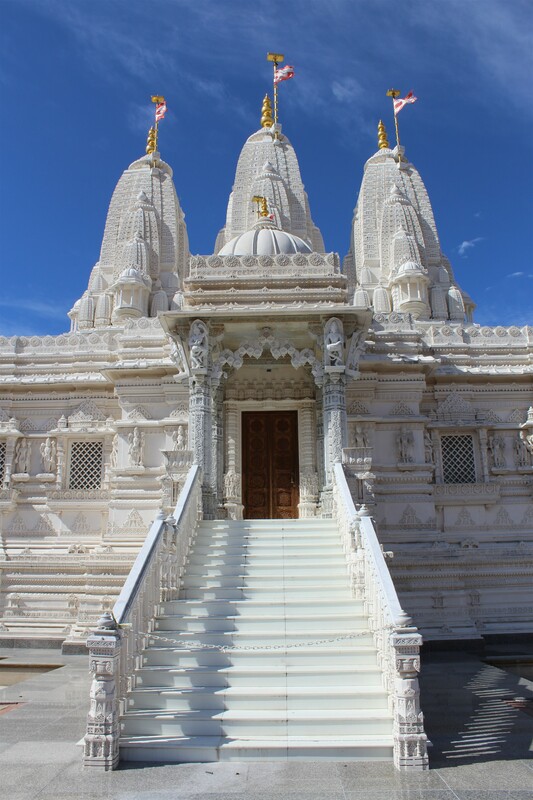 Next up is the BAPS Shri Swaminarayan Mandir in Bartlett, Illinois. This place always takes my breath away, it’s so beautiful! And the facts and figures involved in the building of this architectural marvel are mind-boggling. The limestone and marble stones were quarried in Turkey and Italy and shipped to India where 70,000 cubic feet of stone was carved by 2,000 craftsmen. 40,000 pieces were then shipped to Bartlett where they were fitted together over a period of 16 months. 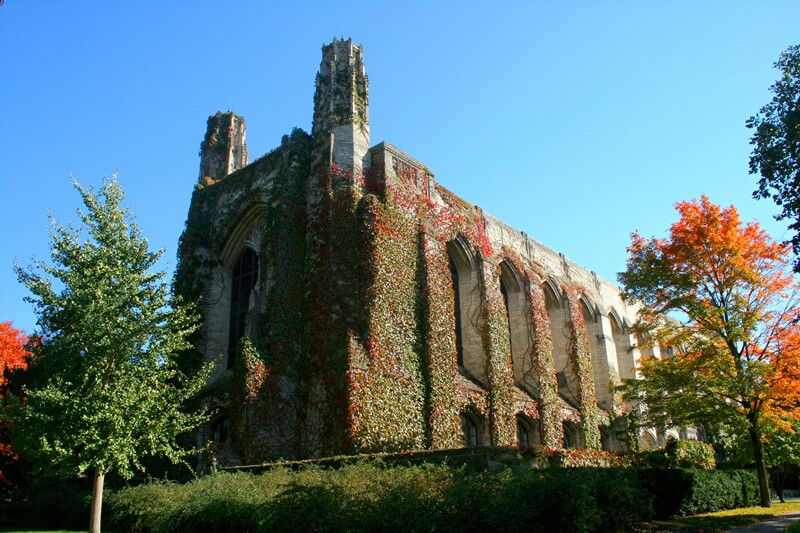 I love the architecture in Evanston and especially on the Campus of Northwestern University. Perhaps it’s because it reminds me a little bit of the college towns back home. 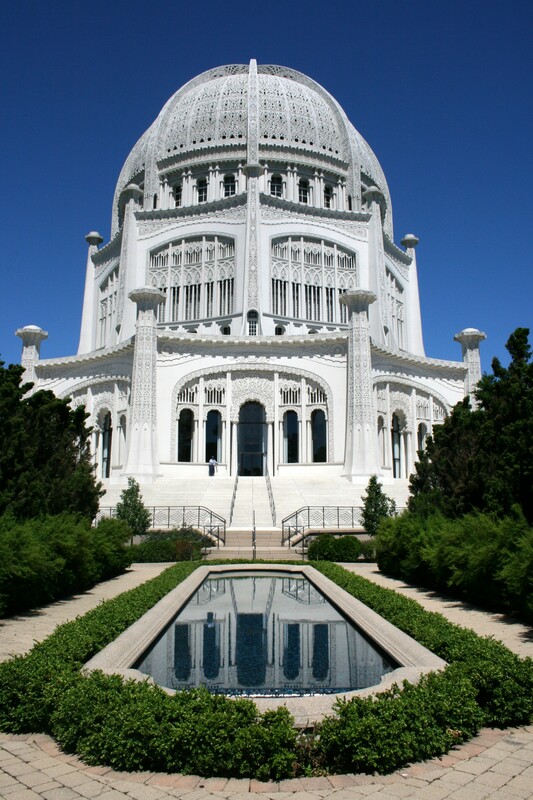 Another impressive piece of architecture that incorporates all kinds of symbolism is the Baha’i House of Worship in Wilmette, Illinois. One of the wonderful things about downtown Chicago is the diversity of its architecture, an interesting blend of the ornate past with the bold lines of present-day designs. Thank you for the fabulous tour of architecture. They are so beautifully capture. I am in awe with the BAPS Shri Swaminarayan Mandir. Thank you for hosting this challenge, Amy. It was my pleasure to share some of my favorite buildings. Is the BAPS building newer or older? It is a beautiful looking piece I’d architecture. The Mandir opened in 2004. The interior is certainly worth a look too, although you can’t take pictures inside. I’ve visited there on many occasions just to look around but also for special festivals and events and have found the people there very helpful in explaining things. Ah, what a stunning collection! These are all magnificent buildings and so well captured! Thank you, Ann-Christine! We have seen so many marvelous buildings during our travels so it was no easy task to single out just a few. I can understand that. Somehow architecture appeals to most of – loads of photos! Good to have to choose as well! Thank you, Tina! Sometimes it’s surprising the places you can find on your own doorstep, so to speak. The BAPS in Illinois, no less. Very cool 😎. It truly is a magnificent building. What a fantastic selection for the theme Sue. Thank you! These are just a few of my all-time favorites. 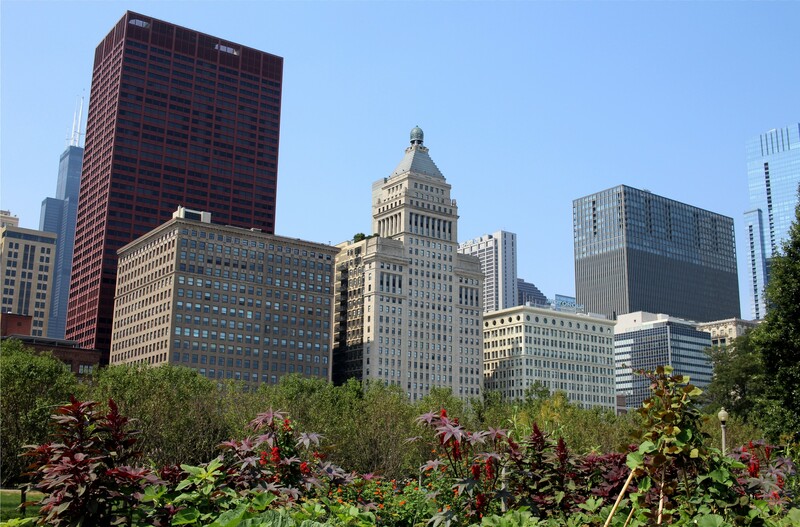 The Chicago area has so many wonderful buildings. Great shots. Chicago is a veritable plethora of architectural delights. I must get to that FLW home some day. Thanks, John! I was hoping to see inside the Willits House but I’m not sure if it’s open to the public. I was only able to gaze at it longingly from the sidewalk. Amazing architecture. thanks for sharing! You are more than welcome. Thank you so much for stopping by! I hope you will visit again. I like the Frank Loyd Wright house. I’ve never been to his home here in Wisconsin, but hear it’s pretty cool. The architecture of all the buildings are awesome and you captured them well! Thanks, Chris! I would love to see inside one of the FLW houses. Perhaps we’ll give the one in Wisconsin a try.